Shaving is one of those “rite of passage” things. Back in the day the elements of shaving were handed down from father to son. But with the popularity of multi-blade razor cartridges, canned shaving foam, and television commercials extolling how “easy” shaving is, a lot of information has not been passed along like it used to be. The truth is that there are some finer points to shaving that have almost been forgotten. So if you’re not getting a good shave, consider these 5 shaving tips that your father probably never taught you…. 1. Prepare the area to be shaved with a cleanser made specifically for the face (even if it's not your face you're shaving). Personally I think a good, thorough cleaning is more effective than any pre-shave oil or “treatment” before a shave. The skin gets cleaner so the blade edge works more efficiently, the skin is sufficiently hydrated, and the stubble gets softened. Some common “body bars” or deodorant soaps can actually dry out the skin, stripping away too much of the natural skin oils needed for a comfortable shave. Be sure to prepare the area to be shaved with a mild face cleanser and lots and lots of warm water. Spend some time to do this right (physicians say it can take up to three minutes) and (assuming you’re shaving your face) don’t forget to pay attention to your neck. 2. Go AWOL from the razor blade wars. The number of blades isn't as important as the blade edge sharpening, metallurgy, and coating. The most obvious manufacturing characteristic of a razor blade is how the edge is made. The process is referred to as “grinding” and the result is “ground” of a blade. And despite what you might think, blades may not be sharpened to the same level. Most blades are coated with a variety of non-stick materials that help the blade cut more easily and comfortably. There may also be some value to retard oxidation or degradation. Some coatings are applied thinly while others are much thicker. Metallurgy refers to the type and “hardness” of the metal being used. It can be difficult to determine because there are so many grades of metal but the end result is some blades metals work better for specific situations. Unfortunately, there is no objective way to determine which characteristics are “best” for you (short of having your own personal scanning electron microscope and materials testing laboratory!) without actually trying different blades. Luckily razors are inexpensive enough for most people to conduct a little comparative research on their own. It's not how many blades you're using, but the quality and sharpness of any blade you're using. Read more on why more blades can give you a worse shave. 3. Don't think of shaving as eliminating hair as much as reducing hair–reduce the hair in stages to achieve the desired level of closeness…and comfort. No matter what kind of razor you use, an essential razor technique is to shave in passes, with each pass progressively removing hair more closely to the skin. Even those using multi-blade razors with their “lift and cut” theory (though some might say it’s more like “yank and hack”) should follow this technique (along the “grain” of the hair, explained next). Knowing how the hair grows is essential to a comfortable (and hence, more enjoyable) shave because it allows you to remove more hair per stroke with less chance of irritation, providing more beard reduction more quickly. Understanding beard growth is essential when using a multi-blade razor! It is less essential when using a single blade razor but still important–more on that later. Grain is also important to know so that if you decide to pull the skin taut to shave you can know which direction to pull. Over-stretching the skin makes the possibility of irritation or ingrown hairs much more likely. If you lightly run your fingers across the stubble from different directions you will notice some directions feel rougher and some directions feel smoother. The smoothest direction is the “grain” of the stubble (the direction may change in different areas, too). Your first shaving pass should be “with” the grain. Want to reduce more? Relather and shave “across” the grain (the direction 90 degrees away). 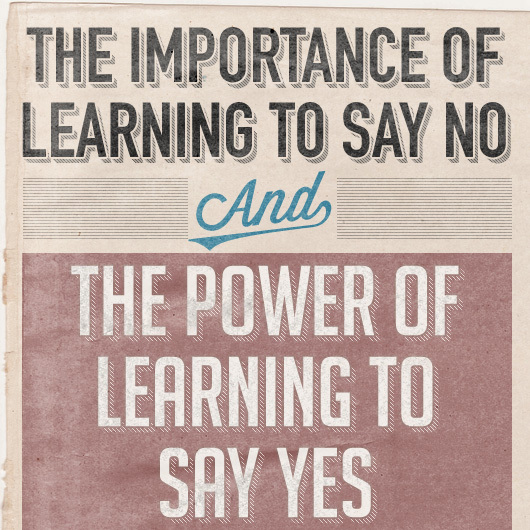 Want to reduce even more? Relather and shave “against” the grain (although some people find they cannot shave against the grain without irritation…proceed cautiously. 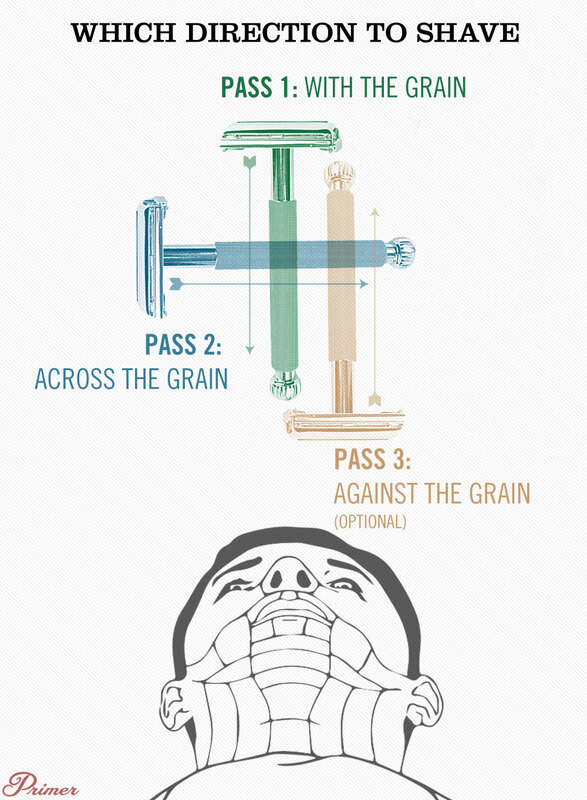 However, if you are using a razor with a single blade (like an old school safety razor) you may be able to “cheat” and just shave downward for your first pass, regardless of grain. Why? 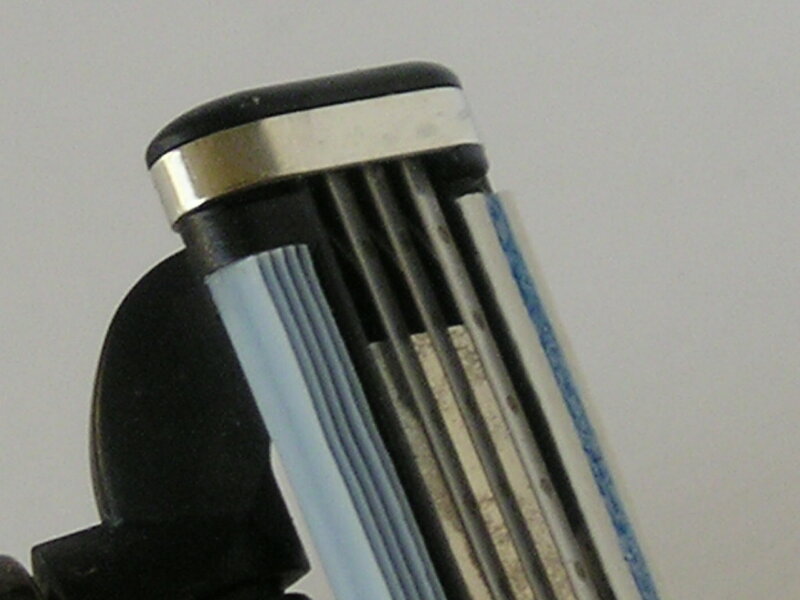 Multi-blade cartridges are based on the theory of “hysteresis.” Most scientific types will recognise hysteresis as a term of magnetism but in the razor world it refers to the “lift and cut” concept, where the first blade pulls the hair away from the skin so when the second blade(s) cut the hair it returns under the skin line. This makes hair very susceptible to growing into the skin instead of peaking out from under the skin (ingrown hairs) if it’s not cut with the grain initially. Single blade shaving does not rely on the hysteresis concept so the shaver may not have to follow the grain exactly. 5. Finish with an aftershave balm that does not have alcohol as a primary ingredient. Aftershaves are the products that are applied immediately after shaving to provide some combination of irritation relief, skin moisturizing, and protection from the elements. They can be divided into two broad categories: balms and splashes. 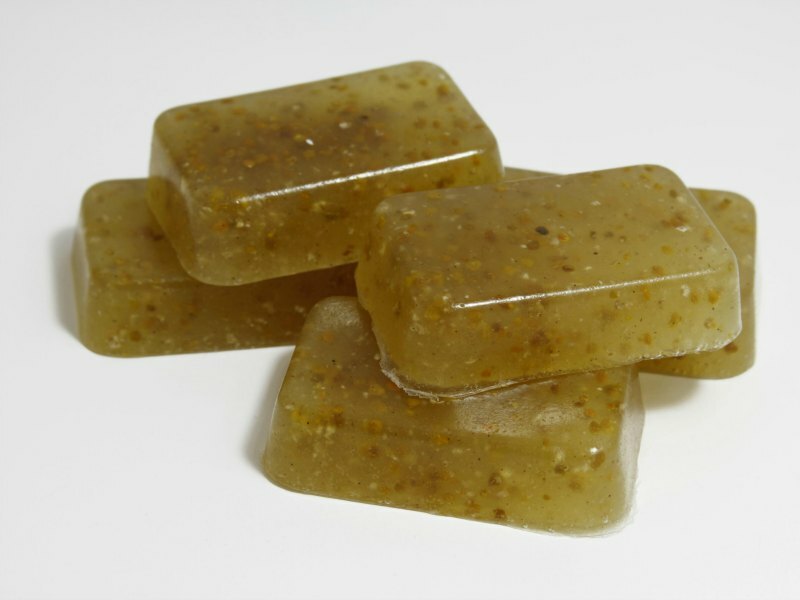 Balms have a thicker consistency, are heavier-feeling on the skin and typically provide more irritation relief and more moisturization to the skin (particularly in cold or dry climates). Splashes are more watery and generally contain a combination of toners, astringents, and hydrosols to cleanse and provide a degree of antiseptic or antibacterial protection to the skin. They’re more popular with those with oily skin or in hot, humid climates. A moisturizer is not the same as an aftershave balm: an aftershave balm contains additional ingredients to protect the skin. Some ingredients to look for in aftershaves: aloe vera, chamomile, tea tree oil, calendula, witch hazel, lavender, jojoba oil, grapefruit seed extract, rose oil distillate, and various vitamins. Some ingredients to avoid: high concentrations of alcohol or camphor; parabens, grapefruit (if you’re going to be outdoors a lot), and lemon oil or eucalyptus (if you have sensitive skin). The amount of alcohol is a bit of a gray area: some is needed for an antiseptic property but too much will dry out the skin and prematurely promote lines and wrinkles over the long term. Avoid the issue by using a product that does not have alcohol as a primary ingredient. 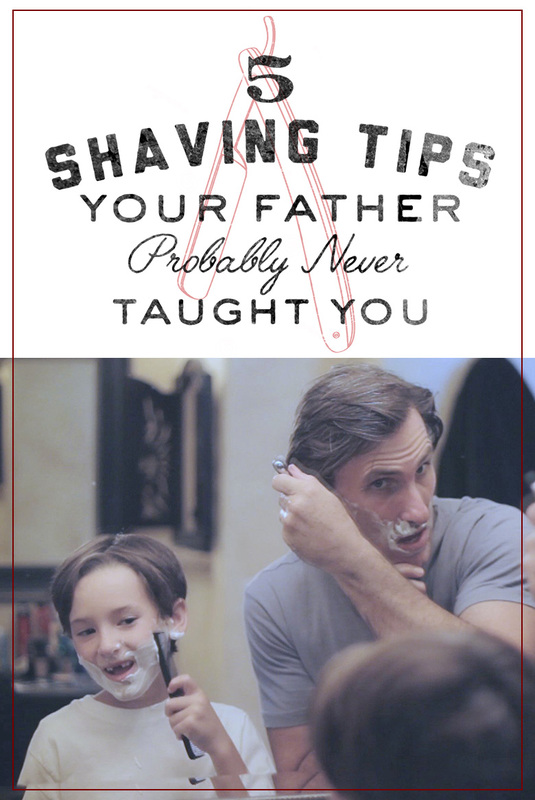 So there you have it, 5 shaving tips your father probably never told you about. Shaving does not have to be a painful, annoying chore. Done properly it can even become a pleasant diversion. To get a lot more information on how to shave right…and even enjoy it…take a look at my free ebook. Mark “Mantic59” has been a wet shaving advocate for the past ten years, with a popular YouTube channel and website.